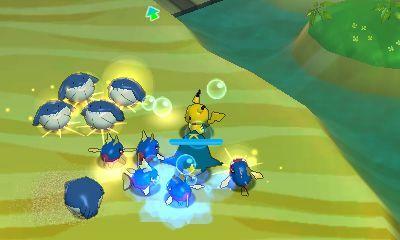 Pokémon Rumble World is a free-to-play game for the Nintendo 3DS. 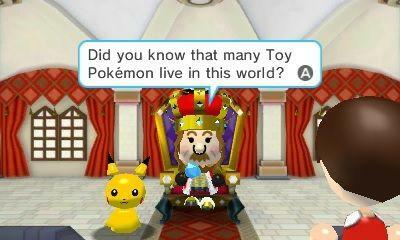 It’s available starting today on the Nintendo 3DS eShop. As the game is free to download and try, we figured we’d skip the process of hitting this with a review. Instead, we’ll go over the microtransactions that enable the free-to-play model and whether or not the game is worth spending time on. 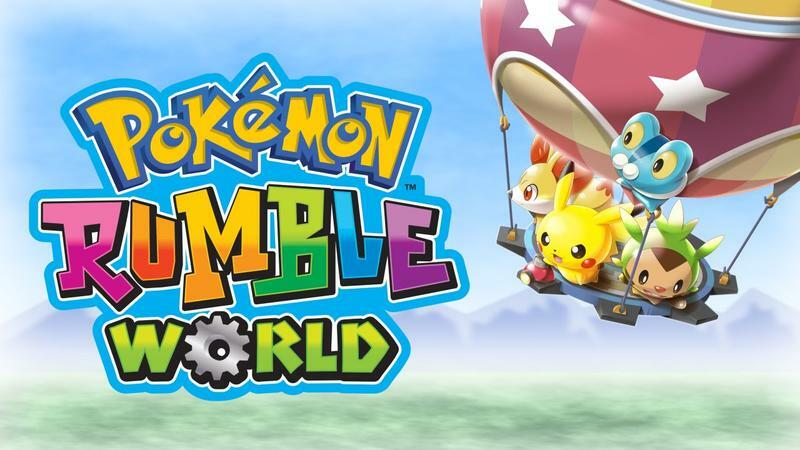 Let me say right up front that the thought of another free-to-play Pokémon effort on the Nintendo 3DS so close to Pokémon Shuffle had me groaning when Rumble World was announced. Shuffle was lousy with the ever-presence of microtransactions. The game beat players over the head early and often, and it forced users to take too many breaks after not enough game time or spend money for more. I didn’t like it, in spite of liking the actual core gameplay of Shuffle, and the free-to-play model eventually led me to walk away. However, I will say with Shuffle that opinions have been pretty spread. I know plenty of users who found the game just right with it’s microtransactions and timers. I know others who hated it more than I did. Mileage varied greatly with that game. 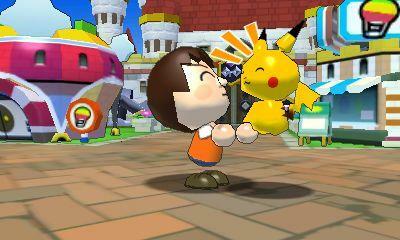 With that in mind, I can say that I’m actually happy with Pokémon Rumble World. It isn’t perfect, and I’ll hit on what Nintendo could have done better, but this doesn’t feel like as much of a money grab as Shuffle. 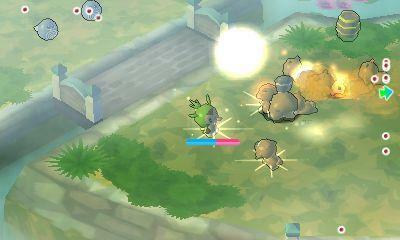 Essentially, Pokémon Rumble World is a top-down action game that tasks players with moving floor to floor in simple levels while attacking wild Pokémon. 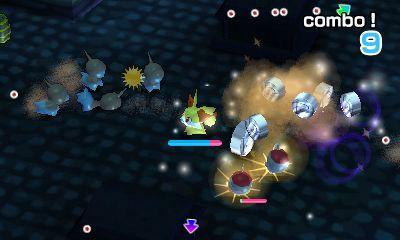 The attacks are super simple, and they happen either automatically as you approach an enemy or with a button press. Some Pokémon only have one attack mapped to the A button, and others have two on both A and B. 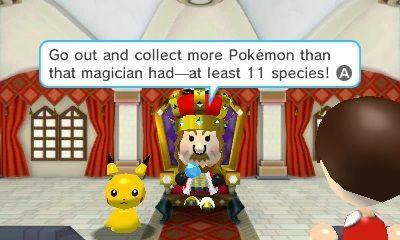 You move through a few floors, face a massive boss and claim your fallen Pokémon foes or dropped coins. You want to build a team of strong creatures with a variety of elemental types in order to take on the King’s challenges. These challenges are how you earn diamonds, and diamonds are linked to play time, continues and equipment. Yep, you guessed it, the Poké Diamonds are where the microtransactions come in. In order to visit new and different levels, you have to buy hot air balloons. 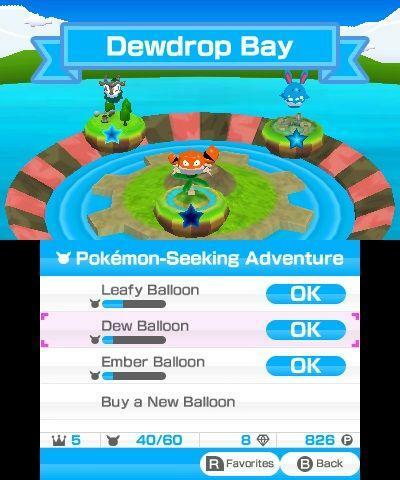 These balloons are unlocked as you catch more and more species of Pokémon. Use the diamonds to buy a balloon, fly it to a stage and then it goes on a countdown until you can use it again. 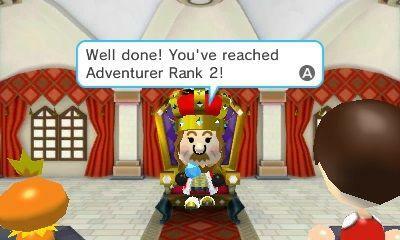 It’s entirely possible, based on my week of play, to never spend a single buck on this game. 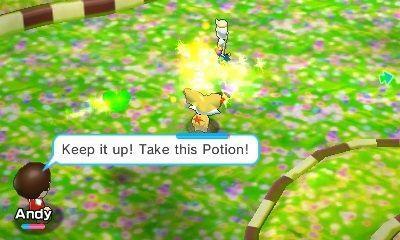 You’ll have to grind out levels a few times in order to gain enough Pokémon with the right strength and element, and a lot of that is based on luck, but you can do it for free. It takes longer, but it works. Or, you can pay money, open up more balloons early and push through the game at a faster rate. Personally, I would have rather Nintendo came up with better incentives for spending money than playtime and progression speed. Once you have enough balloons, you’ll be able to play through each level, and, by the time you’re done, you’ll have countdowns ending in order for you to start the chain again. I’d rather spend money on really great custom stuff for online play or, I don’t know, potions that up my chances of catching incredibly rare and strong Pokémon. As it stands now, spending money feels pointless here. Which, hey, is great for gamers. Maybe Nintendo is hoping so many people will download this that those who do take advantage of the premium stuff will float the cost of development, but I personally never felt pressured to spend money. If I did want to spend money, it works out like this: 50 diamonds for $1. Balloons range in price from 10 to 100-ish diamonds. You can easily spend a pile of scratch if you’re impatient or don’t feel like grinding out or waiting for timers, but there’s no need to. 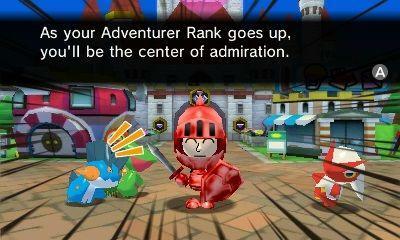 You can always spend time managing your party, playing the daily challenges or tangling with lesser balloons. With how straightforward and simple the gameplay is, there’s no need to feel like you have to constantly play while waiting for timers to dwindle down. You’ll have around 20 to 40 minutes of play every time you sit down as long as you do the challenges, play all your balloons and manage your party.